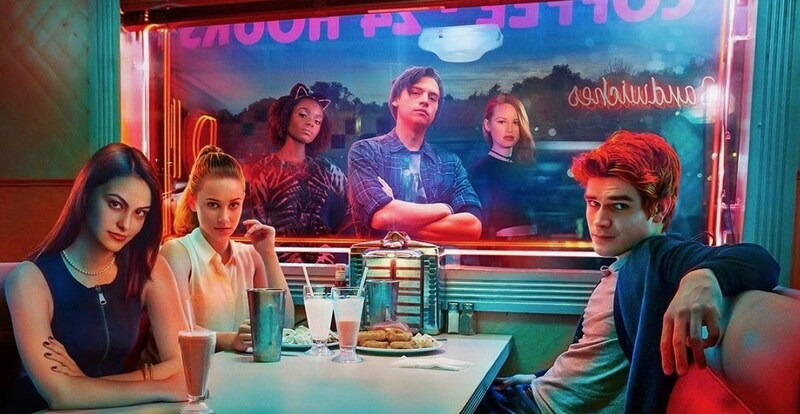 Calling all Riverdale fans – it’s time for you to live out one of your TV dreams and hit up Pop’s Diner IRL. Pop’s Chock’lit Shoppe, the beloved diner from the comic book series and smash hit Netflix TV show, is coming to a city near you for a pop-up experience to celebrate Season 2 ahead of its premier on October 12. Hosted by Netflix, this pop-up will offer the first 200 guests FREE Betty (Old Fashioned Vanilla) or Veronica (Double Chocolate) milkshakes in Pop’s cups while supplies last. We’ll surely be enjoying our shakes as much as Vee is here. After enjoying a milkshake at Pop’s, fans can check out what Archie and the gang are up to when Riverdale Season 2 launches Netflix on October 12.